Discussion Without the sitemap, the Vanilla forum's seo is very bad. 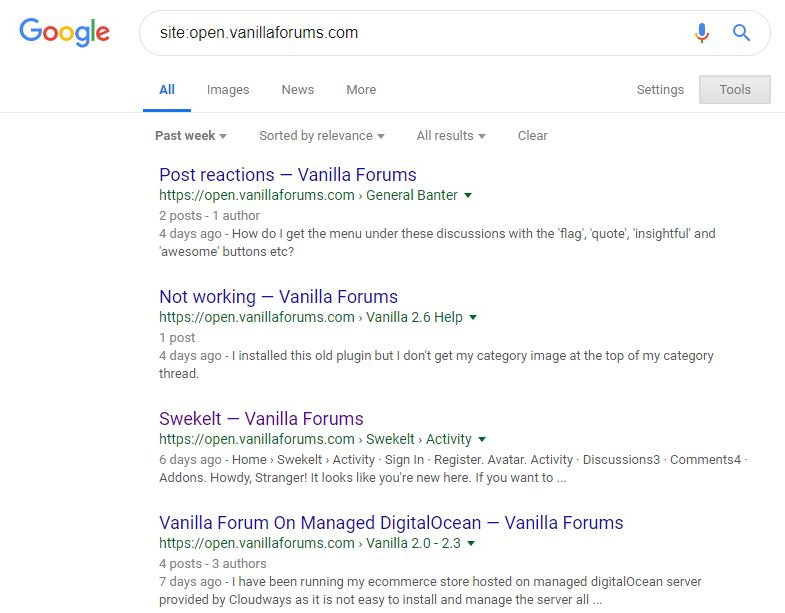 Without the sitemap, the Vanilla forum's seo is very bad. I searched for site:open.vanillaforums.com with Google. Google only indexed 19,000 pages. But I saw that the forum has 37,000 discussions, many plugin pages, and profile pages. 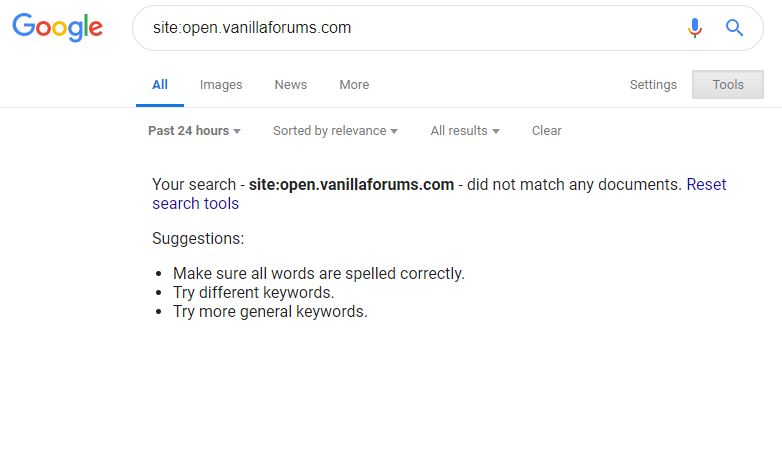 The staff of the forum said that there is no need for a sitemap, but why vanilla's Google index is only a little bit. search of old results might be affected as a result of merging sites. The com site was not getting very many hits so they merged the busier open source org site with the com site in hopes of making more money. Additionally, neither .org nor our "marketing" site on vanillaforums.com is getting the weight they deserve while our sites are divided. We're not even following our own advice that we give to customers, which is to put your community on a subdomain of your main site and make sure they are linked in Google Webmaster Tools et. al. It makes a lot of sense to combine "SEO juice" between a site and community, including ours. A successful marking team means a successful sales team, which means we get to hire more developers to move the product forward for everyone. And everyone wants Vanilla to show up first when folks want a new forum! you can also see the open source site has fewer and fewer discussions added per day as well as comments as times goes on. compare the number of discussions in previous years https://open.vanillaforums.com/discussions/p100 vs.
there are more plugins, addons and themes now but in actuality many fewer working ones. Further conjecture will be conjecture because no one knows what google does except google. This site has a sitemap. We have hundreds of customers who agree the SEO is excellent. Customers typically see increased SEO performance when moving to Vanilla. A count on the search page is not the same as Webmaster Tools access. Very little can be inferred from that number. We continue to make small SEO adjustments over time, but our baseline support is above average in the forum space.